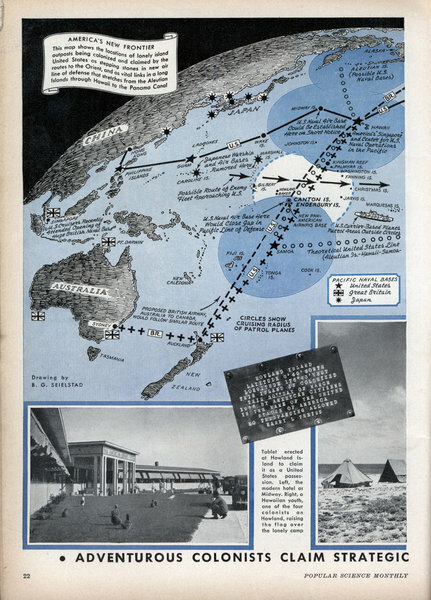 ADVENTUROUS COLONISTS CLAIM STRATEGIC PACIFIC ISLANDS FOR THE STARS AND STRIPES. 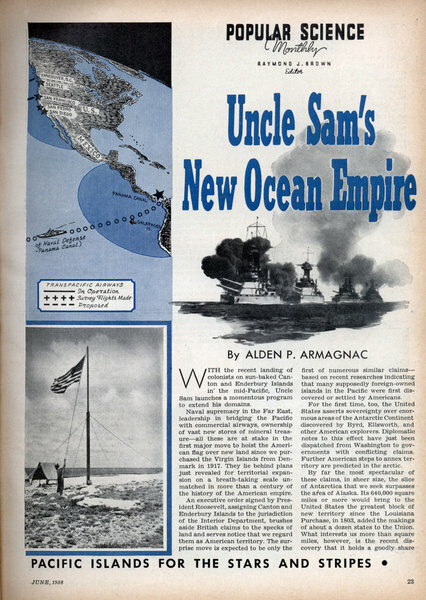 By ALDEN P. ARMAGNAC WITH the recent landing of colonists on sun-baked Canton and Enderbury Islands in the mid-Pacific, Uncle Sam launches a momentous program to extend his domains. Naval supremacy in the Far East, leadership in bridging the Pacific with commercial airways, ownership of vast new stores of mineral treasure—all these are at stake in the first major move to hoist the American flag over new land since we purchased the Virgin Islands from Denmark in 1917. 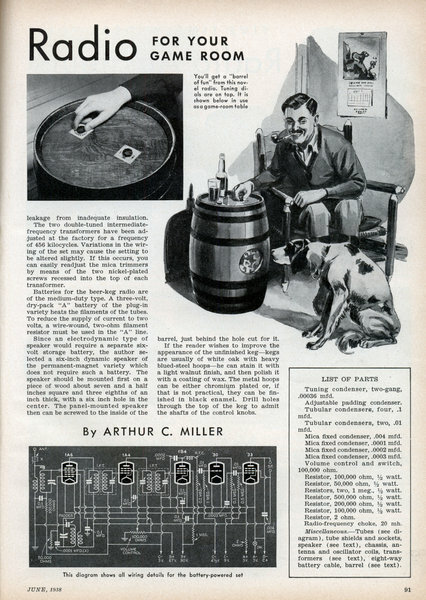 By ARTHUR C. MILLER NOVEL as well as serviceable, the beer-keg radio described on these pages will make a useful addition to the furnishings in your game room. It can be used either as an end table or as a refreshment stand, and, since it is an entirely self-contained unit, operated by dry batteries, it can be carried onto a porch or even into the yard when warm summer days and evenings make this desirable. 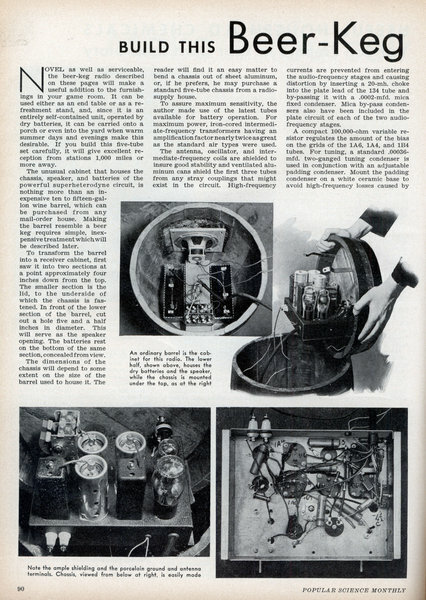 If you build this five-tube set carefully, it will give excellent reception from stations 1,000 miles or more away. 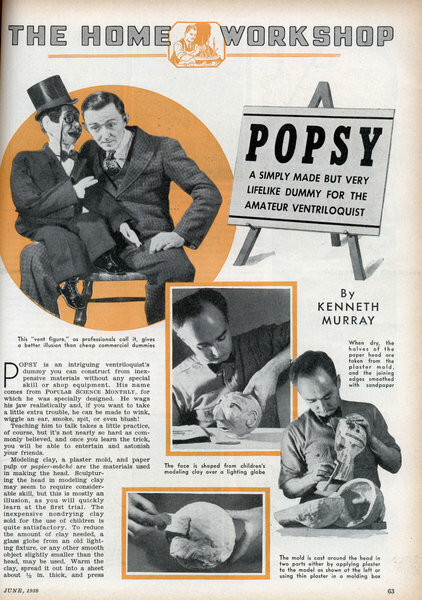 By KENNETH MURRAY POPSY is an intriguing ventriloquist's dummy you can construct from inexpensive materials without any special skill or shop equipment. 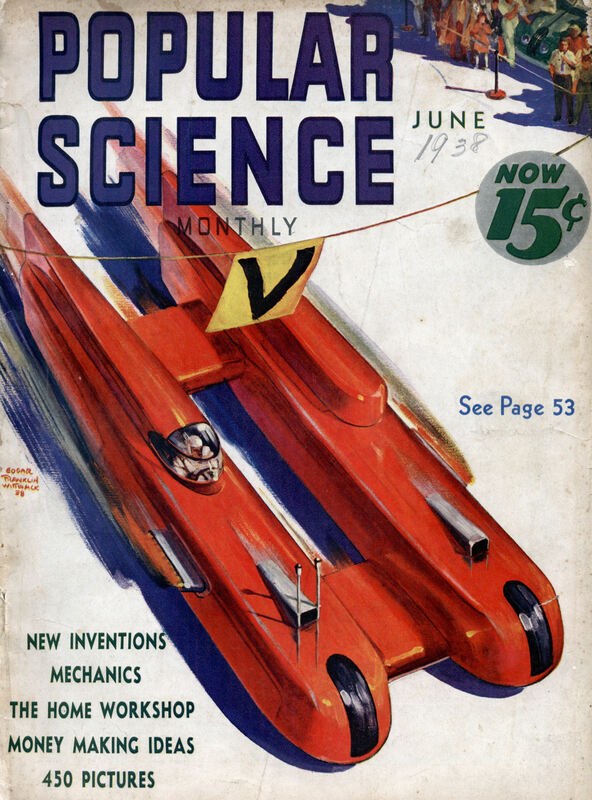 His name comes from Popular Science Monthly, for which he was specially designed. He wags his jaw realistically and, if you want to take a little extra trouble, he can be made to wink, wiggle an ear, smoke, spit, or even blush! 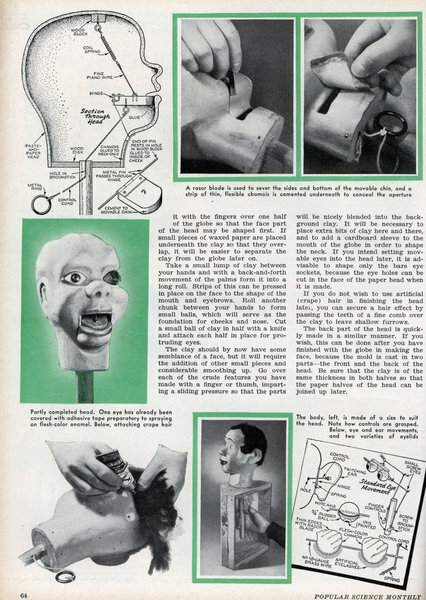 Teaching him to talk takes a little practice, of course, but it's not nearly so hard as commonly believed, and once you learn the trick, you will be able to entertain and astonish your friends. 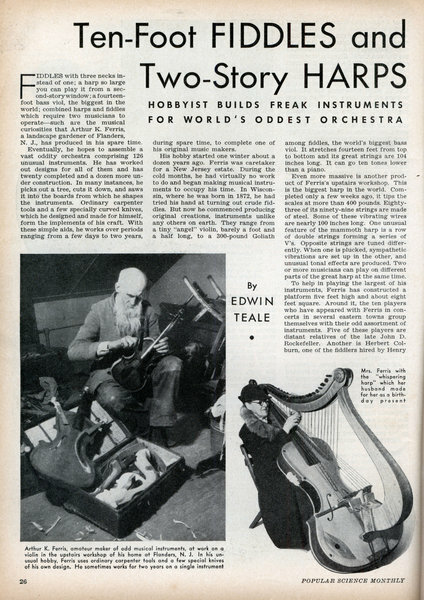 HOBBYIST BUILDS FREAK INSTRUMENTS FOR WORLD'S ODDEST ORCHESTRA By EDWIN TEALE FIDDLES with three necks instead of one; a harp so large you can play it from a second-story window ; a fourteen-foot bass viol, the biggest in the world; combined harps and fiddles which require two musicians to operateâ€”such are the musical curiosities that Arthur K. Ferris, a landscape gardener of Flanders, N. J., has produced in his spare time. 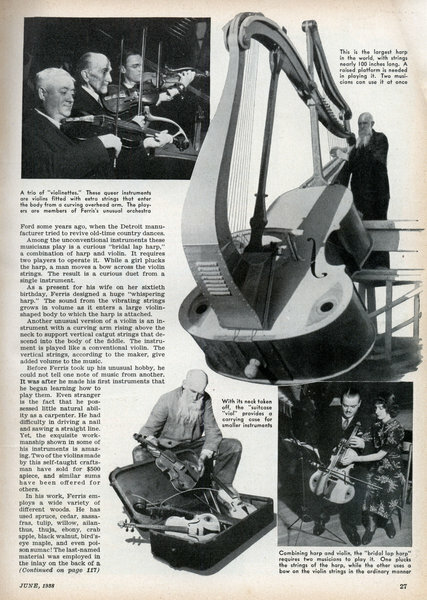 Eventually, he hopes to assemble a vast oddity orchestra comprising 126 unusual instruments. 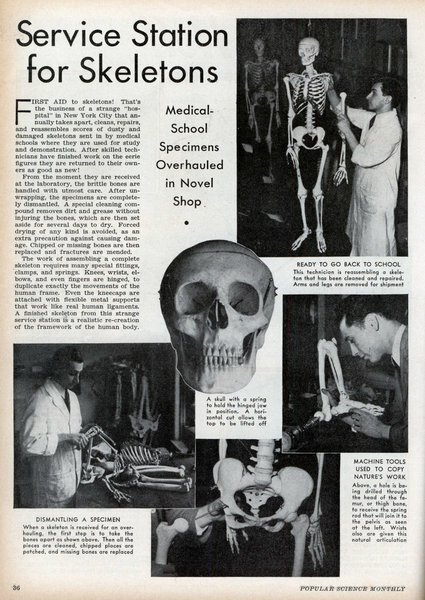 Medical-School Specimens Overhauled in Novel Shop FIRST AID to skeletons! That's the business of a strange "hospital" in New York City that annually takes apart, cleans, repairs, ana reassembles scores of dusty and damaged skeletons sent in by medical schools where they are used for study and demonstration. 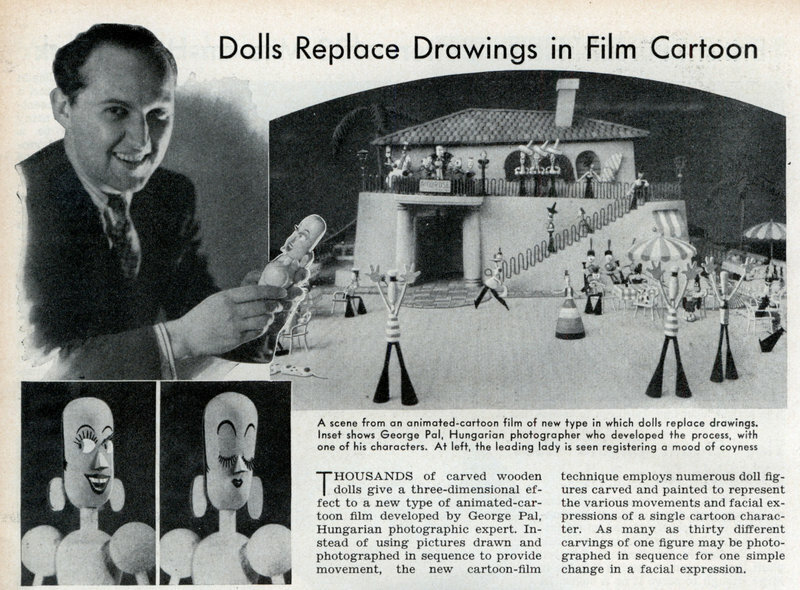 After skilled technicians have finished work on the eerie figures they are returned to their owners as good as new! 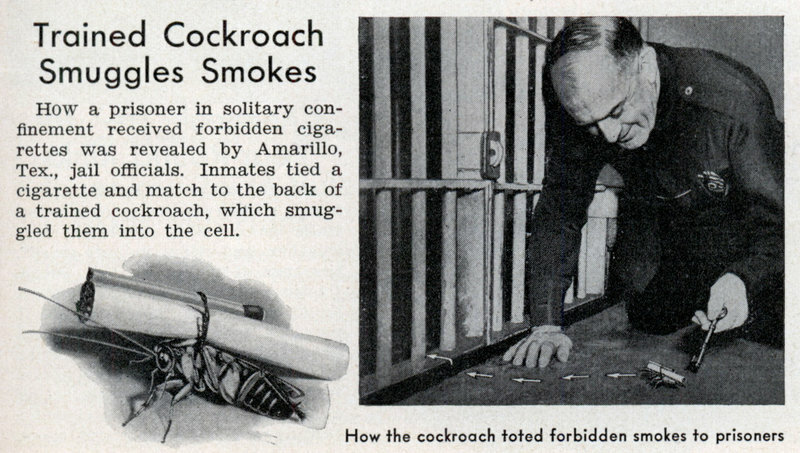 Trained Cockroach Smuggles Smokes How a prisoner in solitary confinement received forbidden cigarettes was revealed by Amarillo, Tex., jail officials. Inmates tied a cigarette and match to the back of a trained cockroach, which smuggled them into the cell. 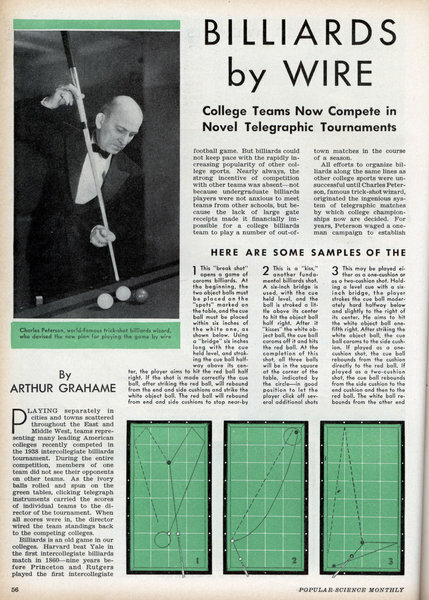 College Teams Now Compete in Novel Telegraphic Tournaments By ARTHUR GRAHAME PLAYING separately in cities and towns scattered throughout the East and Middle West, teams representing many leading American colleges recently competed in the 1938 intercollegiate billiards tournament. During the entire competition, members of one team did not see their opponents on other teams. 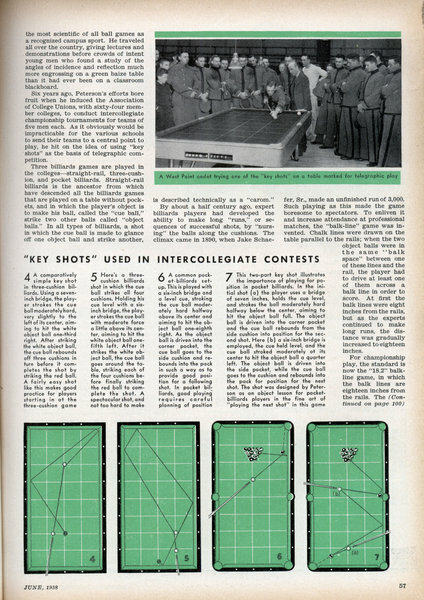 As the ivory balls rolled and spun on the green tables, clicking telegraph instruments carried the scores of individual teams to the director of the tournament. When all scores were in, the director wired the team standings back to the competing colleges. WORKING swiftly, Federal agents a few-weeks ago spread a tight dragnet over New York City. In a midtown hotel, they nabbed a former U. S. Army sergeant. At a near-by Air Corps base, they detained a foreign-born private in the Army aviation service. 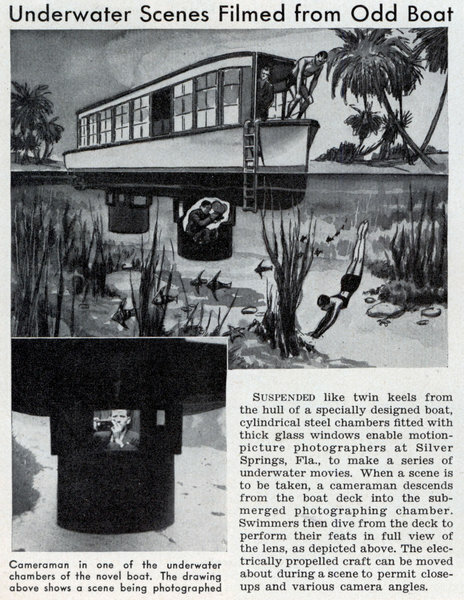 And as a large transatlantic liner nosed into her dock, a few days later, two secret operatives emerged from the shadows of the pier to arrest a woman attendant in the ship's beauty shop. Next morning, the Federal Bureau of Investigation revealed that with the capture of the two men and their attractive confederate, they had smashed a particularly dangerous ring of international spies. 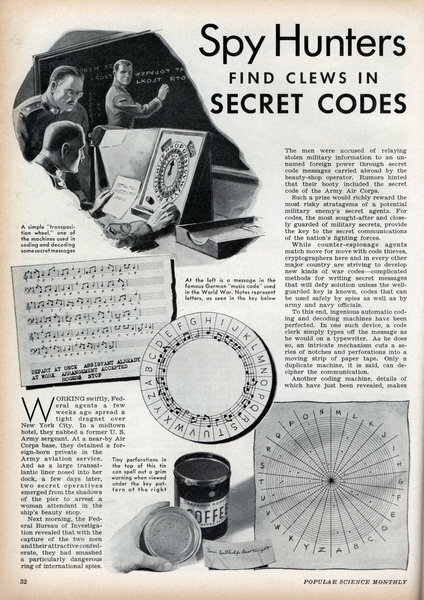 The men were accused of relaying stolen military information to an unnamed foreign power through secret code messages carried abroad by the beauty-shop operator. 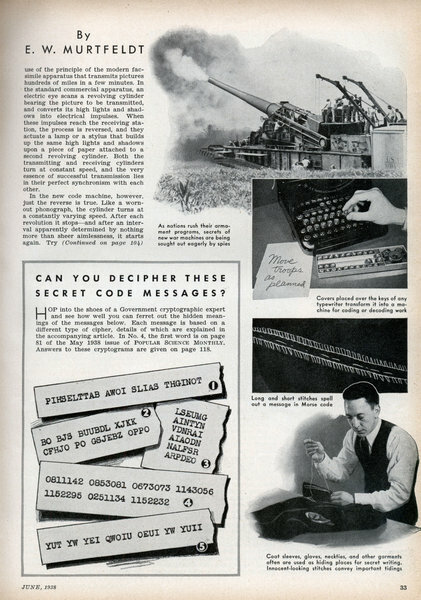 Rumors hinted that their booty included the secret code of the Army Air Corps.